Slowly but surely, the missing pieces of the electric vehicle industry puzzle are falling into place. One big piece just got plugged in recently: financing. This was revealed by Rommel T. Juan, president of the Electric Vehicle Association of the Philippines. He said that for so long a time, no financing company would dare grant a loan to EV companies due to what they termed as the absence of a proof of concept. “Now that financing is available, we must have proven that EV technology really works. Thus, we are happy to note that the EV industry has made a great stride forward as the road to financing was finally traversed by Tojo Motors Corp., a homegrown wholly Filipino-owned electric vehicle manufacturer”. 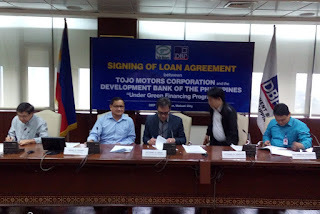 Tojo Motors Corp. recently announced that it was finally able to secure a substantial loan from the Development Bank of the Philippines after it was able to submit the proper requirements needed by the bank. DBP is a development bank mandated to provide banking services to small and medium scale businesses. It has initially allocated P10 Billion for the Green Financing Program as it noted that more and more private firms, local government units and other groups were undertaking environment-friendly projects. The Green Financing Program specifically aims to reduce the environmental footprint from industrial operations and LGU projects, enable industries to achieve production efficiency and become globally competitive in fast-growing green markets, and help both the private and public sectors with their compliance to environmental laws and regulations. The maximum loanable amount will depend on the project’s funding requirement, the proponent’s borrowing capacity and the projected cash flows. 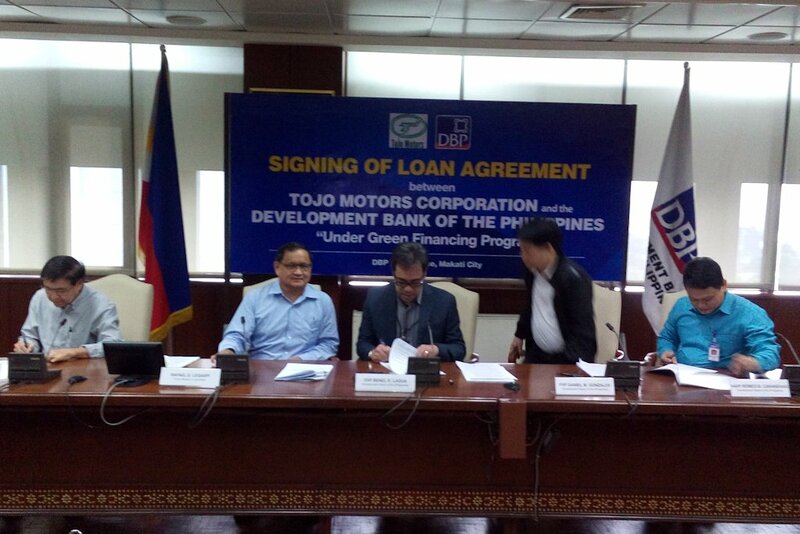 Tojo Motors Corp. is the very first electric vehicle manufacturer to take advantage of DBP’s Green Financing Program. Ralph Legaspi, president of Tojo Motors Corp. said that they will use the loan package to finance their working capital and to fund their expansion program to be able to produce and distribute more electric vehicles in the country. “It is good to note that DBP is true to its mandate in supporting developmental and climate financing programs like electric vehicle manufacturing and operations. This will not only create jobs and spur economic development but also contribute to emission reduction in the country. “, he says. Juan on the other hand was elated that finally a member of EVAP has been able to secure the DBP loan enabling them to roll out more EVs on the road. “The main mission of EVAP is to promote the use of electric vehicles in various forms throughout the entire country. With this new development, we are confident that we will be able to reach our goal of having one million EVs in the Philippines by 2020”.